How to put movies onto your iPad? Would you like to watch home videos or popular TV shows downloaded from the Internet on your iPad and not worry about video format compatibility? Now you can! 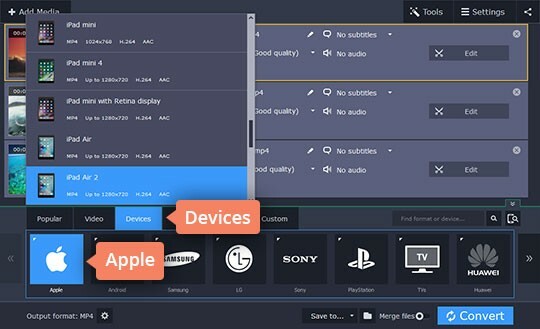 Movavi Video Converter will enable you to forget about technical details and transfer any video to your iPad in no time! 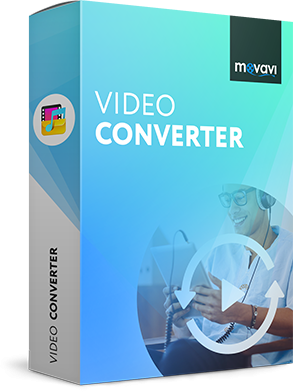 Using Video Converter from Movavi, you can easily convert video files of any format (AVI, MKV, MP4, WMV, DVD, etc.) to the iPad format and play them with no problem. 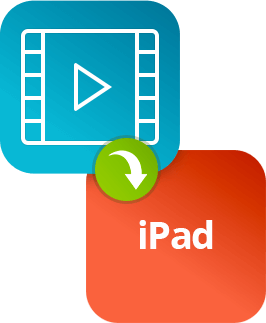 Just download the Windows or Mac version of the program and follow the steps below that describe how to convert movies for iPad. Download Video Converter and run the installation file. Follow the instructions on your screen. Launch the program, click Add Media and then Add Video to add videos for conversion. 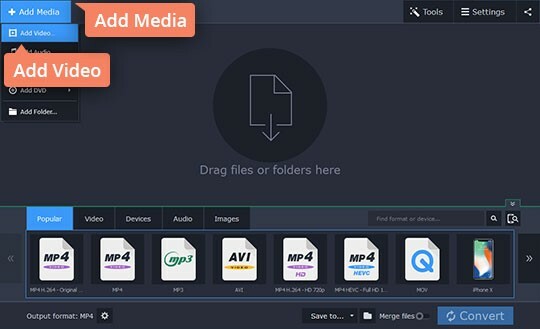 The Movavi converting software supports most popular video formats. You can also use the Add DVD > Open DVD option to add files from DVDs. At the bottom of the program window, click Devices > Apple and select the preset for your iPad model. Click the Folder icon and specify the folder in which to save the converted files. Ensure you have enough free space on your computer. If you want your video to be added to iTunes immediately after conversion, just click Share and check the iTunes check box. Once conversion process is completed, attach iPad to your computer and sync it with iTunes. To play the converted movie on your iPad, just click iPad Main Menu > Videos and choose Movies. Select a movie and enjoy! And that's it! Using these simple steps, you can watch all your favorite movies and DVDs on iPad. IMPORTANT: To export movies from Movavi Video Converter to iPad, you will need iTunes 6.0 or later installed on your computer.